The future of China continues to be a major focus for investors with recent data confirming the economy of the world's most populous nation is slowing. According to the latest van Eyk Investment Outlook Report, industrial output in China expanded at 8.6% in January-February, a five-year low while retail sales grew at a relatively sluggish – by Chinese standards – 11.8%. Investment spending growth slowed to 17.9%. Compounding these results, the March trade data was also disappointing. “Exports declined 6.6% over the year, although this may exaggerate the weakness as the base month was inflated by over-invoicing exports in attempts to disguise capital inflows this time last year,” says van Eyk. The Yuan has also taken some recent hits and while it remains difficult to pinpoint the cause of the currency’s decline, van Eyk links it to Chinese government’s concerns that “hot” foreign capital inflows have made the job of managing the economy more challenging. The upshot is that the outlook for the Chinese economy remains uncertain. “Attempts are being made to steer the economy away from its reliance on investment and exports, and to reign-in the housing and credit explosion while maintaining growth at levels consistent with ongoing jobs growth,” says van Eyk. 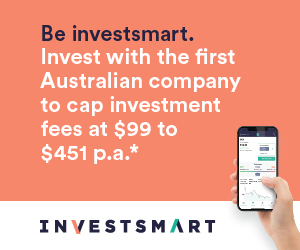 Ron Hodge, CEO of Australia’s most popular independent financial supermarket, InvestSmart, warns investors against throwing the baby out with the bathwater. “There are some issues in China but it is still a massive and dominating economy, which investors would be sensible to consider as part of a balanced portfolio,” says Hodge. “One of the best ways to achieve some exposure to China is by investing in managed funds that buy into a large number of Chinese and Asian companies. “By using a managed fund, you simply pay the experts a fee and let them pick the right companies and level of exposure to China for you".